Pinterest strikes again! 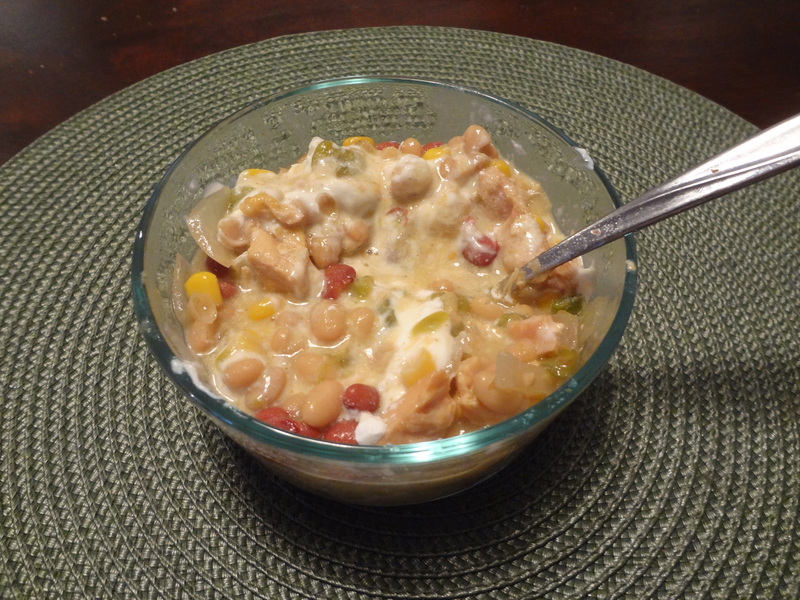 I found the easiest/best recipe ever for White Chicken Chili. If you went to Bloomsburg and ate at the William Scranton Commons…you had the white chicken chili and you were obsessed like me and my roommates….along with a corn “bread muffin top”…talk about a muffin top! Last night I prepped all of the ingredients for the chili…had to chop an onion (tear, tear)…get the cans of beans out and get the crock ready. 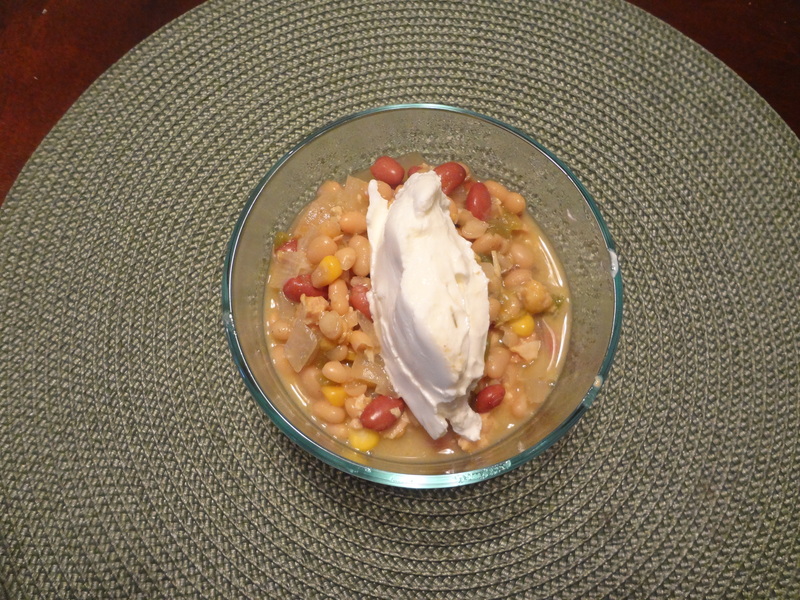 Add your favorite toppings…I only had plain Greek yogurt…which is the BEST substitute for sour cream. I know it may sound weird, but trust me, try it. I am the sour cream and parmesan cheese queen! 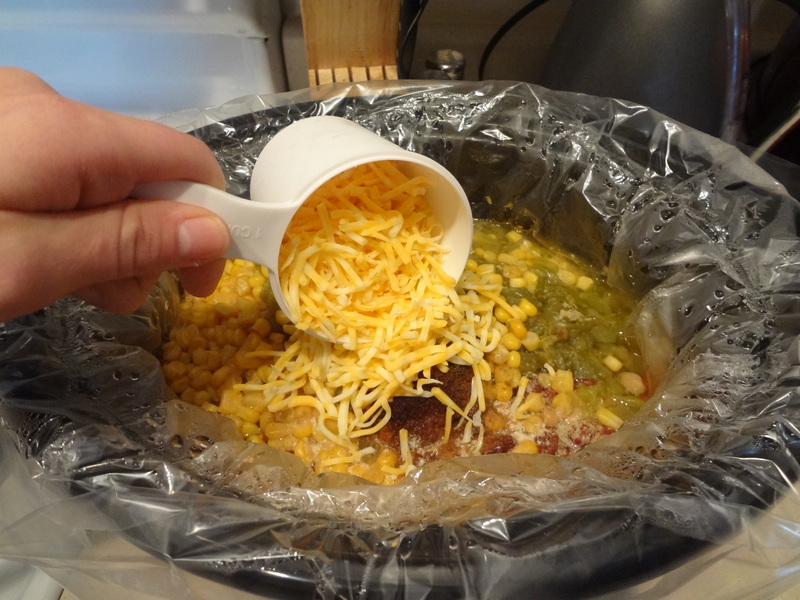 The best part about cooking a meal in the crock pot is that when you get home from work your apartment smells so amazing that you just have to eat dinner at 4:45pm…Also, you need to get some of these amazing crock pot ziploc bags…you just put them in and add your ingredients…makes for the EASIEST clean up. Look for them near the Ziploc baggies in your grocery store. 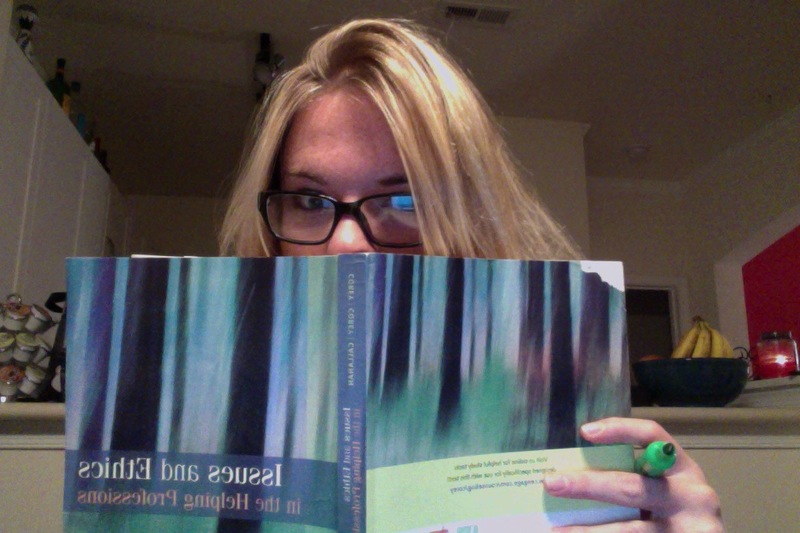 This is what I was up to the remainder of the night…trying to get a lot of grad work done before the weekend so I can enjoy my time at home with my family! I did take a break to go to BodyFlow for some “Active Recovery”…I love stretching and need to do more of it and stop running off the treadmill and ignoring that big room with the mats, foam rollers and cool “stretcher” thing…a.k.a heaven! Hope you are having a good week! We are over the hump…yippeeee! been in the mood for chicken chili..now I have to make it…Body Flow coming to the Y, we did a piece of it in yoga yesterday..looks like fun… see you this weekend..